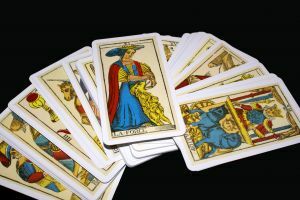 Usually, to have a good Tarot reading we need to find a professional who has a price for the reading; however, it is possible to learn to do it yourself even that this can take you some time. Because of this, if you are interested in horoscopes and Tarot and you want to have a free Tarot reading, what you need to do is to look for online sites. Now, it cannot be any place when you can find good Tarot readings and it is necessary for you to be able to identify a good alternative and skip the rest of them. – To start with it, it is essential for you to know how professional the site is. If it is a place in which you can find online advice of professional Tarot readers, it is a perfect place. – Now, it is also good for you to look for different free options. For example, if you look for a reading concerning love, you need to look for a place that offers it. At the same time and if you are looking to solve a doubt about an issue, it is also essential for you to find wide readings that can help you. – In a general way, we advise you that before using and believing in the answers of an online reading , to investigate deeply about the place and the professionalism that it has.